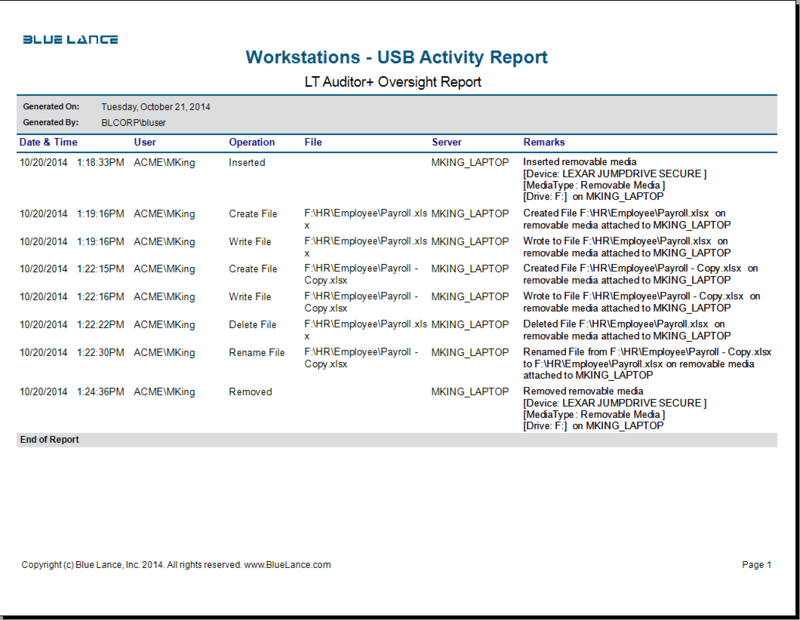 LT Auditor+ 2013 for Workstations goes beyond native Windows event logs and interacts seamlessly and unobtrusively with the workstations/laptops, running any version of Windows desktop operating system, to capture Successful/Failed Authentications; Successful/Failed File and Folder Operations; and Removable Storage Activities including flash drives. 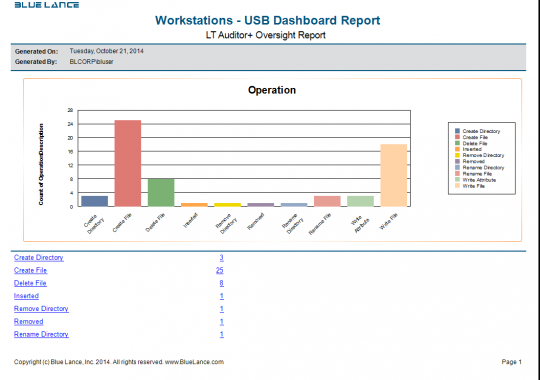 LT Auditor+ 2013 for Workstations delivers a bullet-proof audit trail, through easy-to-read forensic reports and real-time alerts, to precisely identify Who did What, from Where and When. 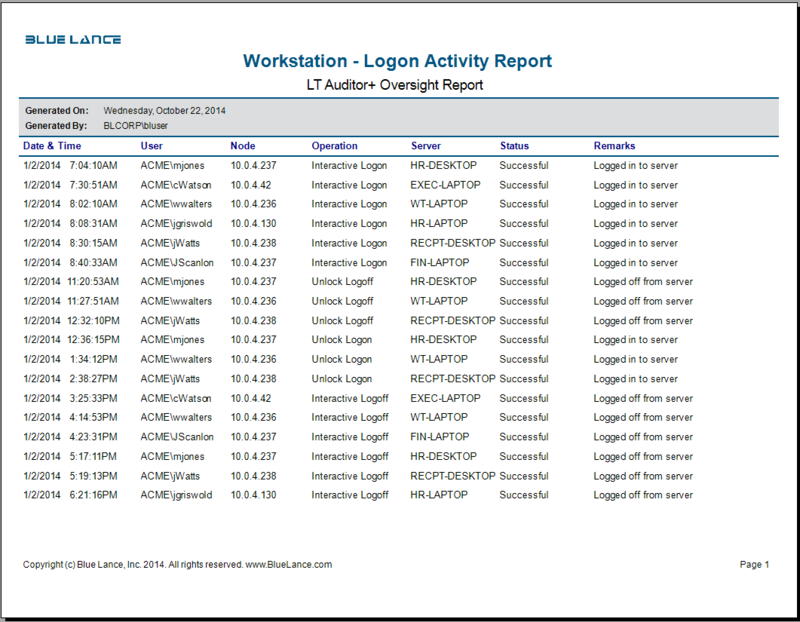 Quality Data: Removes the complexity from cryptic event logs by providing clear, concise information on who did what from where and when on your Workstations in human readable format. Real-Time Alerts: Get notified in real time when critical changes occur on Workstations such as when sensitive data is copied to a flash drive or if unauthorized access to the desktop has occurred. 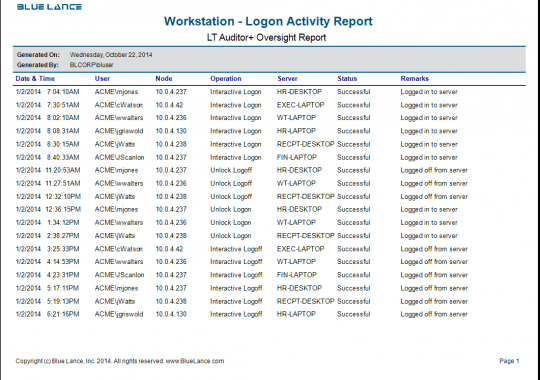 Track Authentications: All types of successful or unsuccessful login activity can be monitored to ensure authorized access to Workstations. You will have the ability to see if there was interactive activity or whether someone on the network accessed the system. Audit Data Reduction: Allows for complex filtering from hundreds and thousands of events per second so as to collect relevant data for auditing. This avoids the clutter and noise associated with enormous volumes of event log data, providing for high quality reporting and forensic analysis. 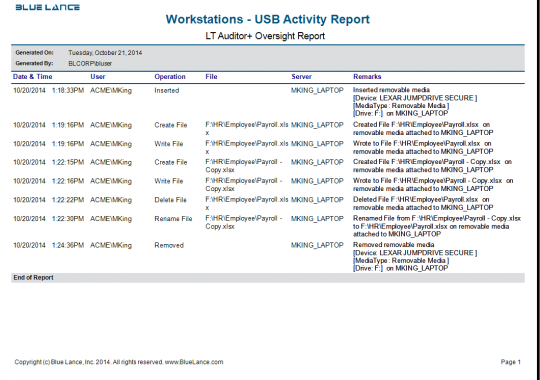 Flash Drive Activity: Captures when flash drives have been used in the environment. Usage of unauthorized flash drives can be immediately flagged and information copied to and from flash drives is logged centrally to ensure data egress or ingress is not violating organizational security policies. 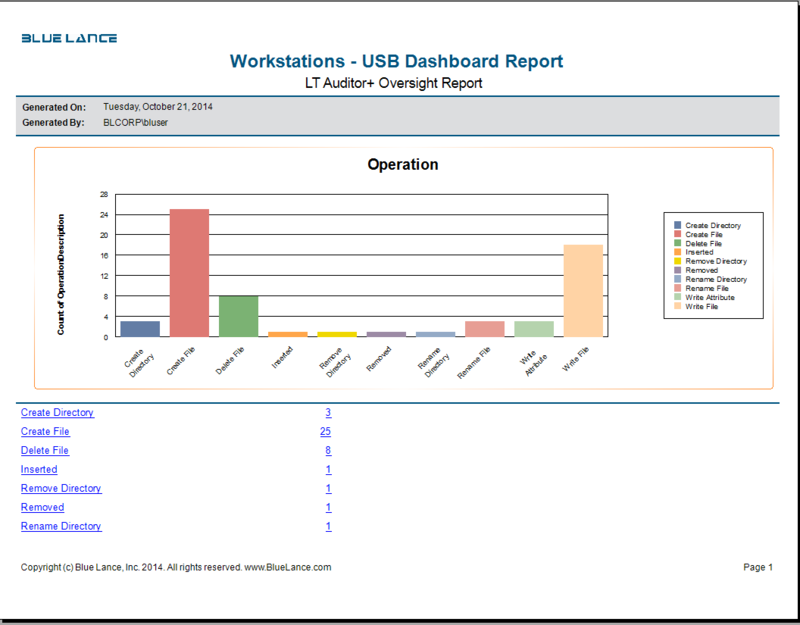 Simplified Management: Provides the ability to audit and monitor workstations across geographic locations from a single console.